"Tulip fever" redirects here. For the film set during the period of tulip mania, see Tulip Fever. Tulip mania (Dutch: tulpenmanie) was a period in the Dutch Golden Age during which contract prices for some bulbs of the recently introduced and fashionable tulip reached extraordinarily high levels and then dramatically collapsed in February 1637. It is generally considered the first recorded speculative bubble; although some researchers have noted that the Kipper und Wipper (literally "Tipper and See-Saw") episode in 1619–1622, a Europe-wide chain of debasement of the metal content of coins to fund warfare, featured mania-like similarities to a bubble. In many ways, the tulip mania was more of a hitherto unknown socio-economic phenomenon than a significant economic crisis. 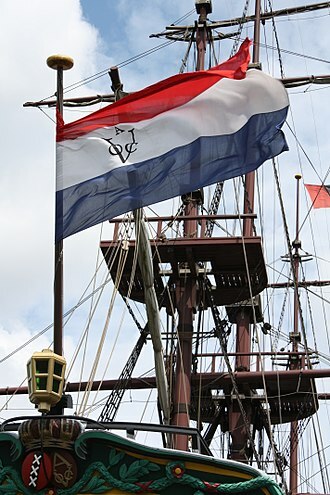 Historically, it had no critical influence on the prosperity of the Dutch Republic, the world's leading economic and financial power in the 17th century. Also, from about 1600 to 1720 the Dutch had the highest per capita income in the world. The term "tulip mania" is now often used metaphorically to refer to any large economic bubble when asset prices deviate from intrinsic values. 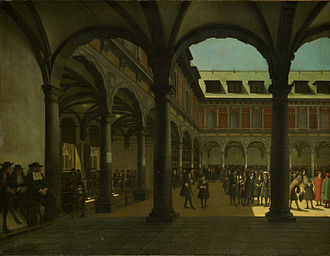 In Europe, formal futures markets appeared in the Dutch Republic during the 17th century. Among the most notable centered on the tulip market, at the height of tulip mania. At the peak of tulip mania, in February 1637, some single tulip bulbs sold for more than 10 times the annual income of a skilled craftsworker. Research is difficult because of the limited economic data from the 1630s, much of which come from biased and speculative sources. Some modern economists have proposed rational explanations, rather than a speculative mania, for the rise and fall in prices. For example, other flowers, such as the hyacinth, also had high initial prices at the time of their introduction, which immediately fell. The high asset prices may also have been driven by expectations of a parliamentary decree that contracts could be voided for a small cost, thus lowering the risk to buyers. 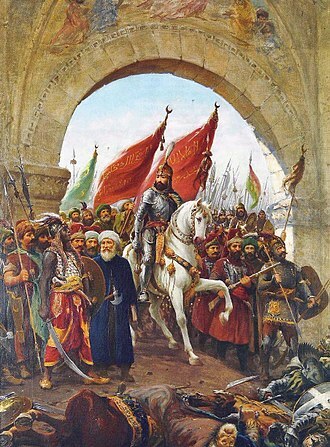 The introduction of the tulip to Europe is usually attributed to Ogier de Busbecq, the ambassador of Ferdinand I, Holy Roman Emperor, to the Sultan of Turkey, who sent the first tulip bulbs and seeds to Vienna in 1554 from the Ottoman Empire. 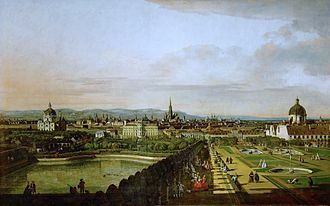 Tulip bulbs were soon distributed from Vienna to Augsburg, Antwerp and Amsterdam. 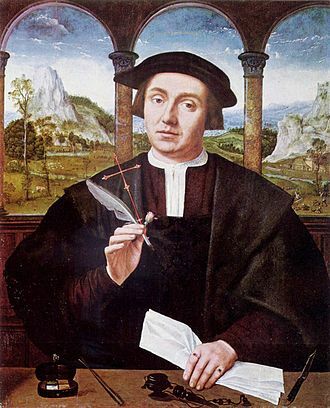 Its popularity and cultivation in the United Provinces (now the Netherlands) is generally thought to have started in earnest around 1593 after the Southern Netherlandish botanist Carolus Clusius had taken up a post at the University of Leiden and established the hortus academicus. He planted his collection of tulip bulbs and found they were able to tolerate the harsher conditions of the Low Countries; shortly thereafter, the tulip began to grow in popularity. The tulip was different from every other flower known to Europe at that time, with a saturated intense petal color that no other plant had. 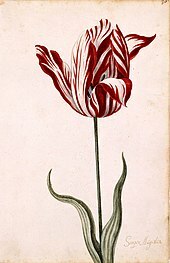 The appearance of the nonpareil tulip as a status symbol at this time coincides with the rise of newly independent Holland's trade fortunes. No longer the Spanish Netherlands, its economic resources could now be channeled into commerce and the country embarked on its Golden Age. 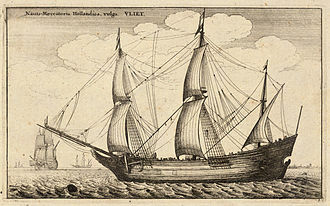 Amsterdam merchants were at the center of the lucrative East Indies trade, where one voyage could yield profits of 400%. As a result, tulips rapidly became a coveted luxury item, and a profusion of varieties followed. They were classified in groups: the single-hued tulips of red, yellow, or white were known as Couleren; the multicolored Rosen (white streaks on a red or pink background); Violetten (white streaks on a purple or lilac background); and the rarest of all, the Bizarden (Bizarres), (yellow or white streaks on a red, brown or purple background). The multicolor effects of intricate lines and flame-like streaks on the petals were vivid and spectacular, making the bulbs that produced these even more exotic-looking plants highly sought-after. It is now known that this effect is due to the bulbs being infected with a type of tulip-specific mosaic virus, known as the "tulip breaking virus", so called because it "breaks" the one petal color into two or more. Growers named their new varieties with exalted titles. Many early forms were prefixed Admirael ("admiral"), often combined with the growers' names: Admirael van der Eijck, for example, was perhaps the most highly regarded of about fifty so named. Generael ("general") was another prefix used for around thirty varieties. 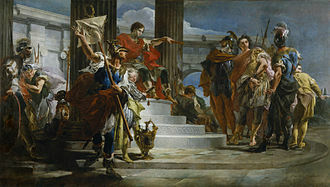 Later varieties were given even more extravagant names, derived from Alexander the Great or Scipio, or even "Admiral of Admirals" and "General of Generals". Naming could be haphazard and varieties highly variable in quality. Most of these varieties have now died out. Tulips grow from bulbs, and can be propagated through both seeds and buds. Seeds from a tulip will form a flowering bulb after 7–12 years. When a bulb grows into the flower, the original bulb will disappear, but a clone bulb forms in its place, as do several buds. Properly cultivated, these buds will become bulbs of their own. The mosaic virus spreads only through buds, not seeds, and so cultivating the most appealing varieties takes years. Propagation is greatly slowed down by the virus. In the Northern Hemisphere, tulips bloom in April and May for about one week. During the plant's dormant phase from June to September, bulbs can be uprooted and moved about, so actual purchases (in the spot market) occurred during these months. During the rest of the year, florists, or tulip traders, signed contracts before a notary to buy tulips at the end of the season (effectively futures contracts). Thus the Dutch, who developed many of the techniques of modern finance, created a market for tulip bulbs, which were durable goods. Short selling was banned by an edict of 1610, which was reiterated or strengthened in 1621 and 1630, and again in 1636. Short sellers were not prosecuted under these edicts, but futures contracts were deemed unenforceable, so traders could repudiate deals if faced with a loss. A standardized price index for tulip bulb contracts, created by Earl Thompson. Thompson had no price data between February 9 and May 1, thus the shape of the decline is unknown. The tulip market is known to have collapsed abruptly in February. As the flowers grew in popularity, professional growers paid higher and higher prices for bulbs with the virus, and prices rose steadily. By 1634, in part as a result of demand from the French, speculators began to enter the market. The contract price of rare bulbs continued to rise throughout 1636, but by November, the price of common, "unbroken" bulbs also began to increase, so that soon any tulip bulb could fetch hundreds of guilders. That year the Dutch created a type of formal futures market where contracts to buy bulbs at the end of the season were bought and sold. Traders met in "colleges" at taverns and buyers were required to pay a 2.5% "wine money" fee, up to a maximum of three guilders per trade. Neither party paid an initial margin, nor a mark-to-market margin, and all contracts were with the individual counter-parties rather than with the Exchange. The Dutch described tulip contract trading as windhandel (literally "wind trade"), because no bulbs were actually changing hands. The entire business was accomplished on the margins of Dutch economic life, not in the Exchange itself. Tulip mania reached its peak during the winter of 1636–37, when some bulbs were reportedly changing hands ten times in a day. No deliveries were ever made to fulfil any of these contracts, because in February 1637, tulip bulb contract prices collapsed abruptly and the trade of tulips ground to a halt. 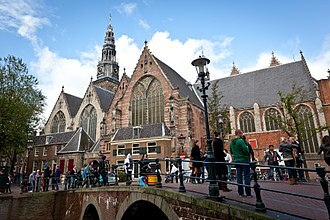 The collapse began in Haarlem, when, for the first time, buyers apparently refused to show up at a routine bulb auction. This may have been because Haarlem was then suffering from an outbreak of bubonic plague. 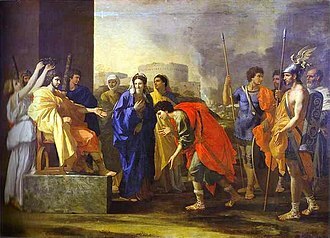 The existence of the plague may have helped to create a culture of fatalistic risk-taking that allowed the speculation to skyrocket in the first place; this outbreak might also have helped to burst the bubble. The lack of consistently recorded price data from the 1630s makes the extent of the tulip mania difficult to discern. The bulk of available data comes from anti-speculative pamphlets by "Gaergoedt and Warmondt" (GW) written just after the bubble. Economist Peter Garber collected data on the sales of 161 bulbs of 39 varieties between 1633 and 1637, with 53 being recorded by GW. Ninety-eight sales were recorded for the last date of the bubble, February 5, 1637, at wildly varying prices. The sales were made using several market mechanisms: futures trading at the colleges, spot sales by growers, notarized futures sales by growers, and estate sales. "To a great extent, the available price data are a blend of apples and oranges", according to Garber. The modern discussion of tulip mania began with the book Extraordinary Popular Delusions and the Madness of Crowds, published in 1841 by the Scottish journalist Charles Mackay; he proposed that crowds of people often behave irrationally, and tulip mania was, along with the South Sea Bubble and the Mississippi Company scheme, one of his primary examples. His account was largely sourced from a 1797 work by Johann Beckmann titled A History of Inventions, Discoveries, and Origins. In fact, Beckmann's account, and thus Mackay's by derivation, was primarily sourced to three anonymous pamphlets published in 1637 with an anti-speculative agenda. Mackay's vivid book was popular among generations of economists and stock market participants. His popular but flawed description of tulip mania as a speculative bubble remains prominent, even though since the 1980s economists have debunked many aspects of his account. According to Mackay, the growing popularity of tulips in the early 17th century caught the attention of the entire nation; "the population, even to its lowest dregs, embarked in the tulip trade". By 1635, a sale of 40 bulbs for 100,000 florins (also known as Dutch guilders) was recorded. By way of comparison, a ton of butter cost around 100 florins, a skilled laborer might earn 150–350 florins a year, and "eight fat swine" cost 240 florins. According to the International Institute of Social History, one florin in 1637 had the purchasing power of €11.51 in 2016. By 1636, tulips were traded on the exchanges of numerous Dutch towns and cities. This encouraged trading in tulips by all members of society; Mackay recounted people selling or trading their other possessions in order to speculate in the tulip market, such as an offer of 12 acres (49,000 m2) of land for one of two existing Semper Augustus bulbs, or a single bulb of the Viceroy that, Mackay claimed, was purchased in exchange for a basket of goods (shown in table) worth 2,500 florins. The increasing mania generated several amusing, if unlikely, anecdotes that Mackay recounted, such as a sailor who mistook the valuable tulip bulb of a merchant for an onion and grabbed it to eat. According to Mackay, the merchant and his family chased the sailor to find him "eating a breakfast whose cost might have regaled a whole ship's crew for a twelvemonth"; the sailor was jailed for eating the bulb. In fact, tulips are poisonous if prepared incorrectly, taste bad, and are considered to be only marginally edible even during famines. People were purchasing bulbs at higher and higher prices, intending to re-sell them for a profit. Such a scheme could not last unless someone was ultimately willing to pay such high prices and take possession of the bulbs. In February 1637, tulip traders could no longer find new buyers willing to pay increasingly inflated prices for their bulbs. As this realization set in, the demand for tulips collapsed, and prices plummeted—the speculative bubble burst. Some were left holding contracts to purchase tulips at prices now ten times greater than those on the open market, while others found themselves in possession of bulbs now worth a fraction of the price they had paid. Mackay claims the Dutch devolved into distressed accusations and recriminations against others in the trade. In Mackay's account, the panicked tulip speculators sought help from the government of the Netherlands, which responded by declaring that anyone who had bought contracts to purchase bulbs in the future could void their contract by payment of a 10 percent fee. Attempts were made to resolve the situation to the satisfaction of all parties, but these were unsuccessful. The mania finally ended, Mackay says, with individuals stuck with the bulbs they held at the end of the crash—no court would enforce payment of a contract, since judges regarded the debts as contracted through gambling, and thus not enforceable by law. Mackay's account of inexplicable mania was unchallenged, and mostly unexamined, until the 1980s. Research into tulip mania since then, especially by proponents of the efficient-market hypothesis, suggests that his story was incomplete and inaccurate. In her 2007 scholarly analysis Tulipmania, Anne Goldgar states that the phenomenon was limited to "a fairly small group", and that most accounts from the period "are based on one or two contemporary pieces of propaganda and a prodigious amount of plagiarism". Peter Garber argues that the trade in common bulbs "was no more than a meaningless winter drinking game, played by a plague-ridden population that made use of the vibrant tulip market." 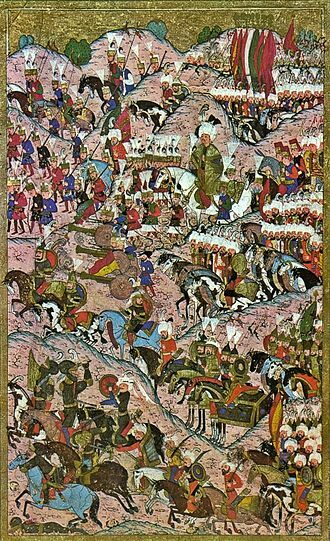 While Mackay's account held that a wide array of society was involved in the tulip trade, Goldgar's study of archived contracts found that even at its peak the trade in tulips was conducted almost exclusively by merchants and skilled craftsmen who were wealthy, but not members of the nobility. Any economic fallout from the bubble was very limited. Goldgar, who identified many prominent buyers and sellers in the market, found fewer than half a dozen who experienced financial troubles in the time period, and even of these cases it is not clear that tulips were to blame. This is not altogether surprising. Although prices had risen, money had not changed hands between buyers and sellers. Thus profits were never realized for sellers; unless sellers had made other purchases on credit in expectation of the profits, the collapse in prices did not cause anyone to lose money. 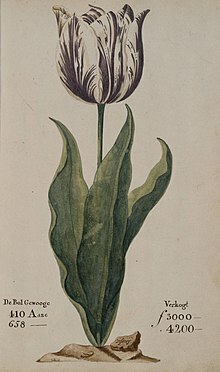 There is no dispute that prices for tulip bulb contracts rose and then fell in 1636–37, but even a dramatic rise and fall in prices does not necessarily mean that an economic or speculative bubble developed and then burst. For tulip mania to have qualified as an economic bubble, the price of tulip bulbs would need to have become unhinged from the intrinsic value of the bulbs. Modern economists have advanced several possible reasons for why the rise and fall in prices may not have constituted a bubble, even though a Viceroy Tulip was worth upwards of five times the cost of an average house at the time. The increases of the 1630s corresponded with a lull in the Thirty Years' War. In 1634/5 the German and Swedish armies lost ground in the South of Germany; then Cardinal-Infante Ferdinand of Austria moved north. After the Peace of Prague the French (and the Dutch) decided to support the Swedish and German protestants with money and arms against the Habsburg empire, and to occupy the Spanish Netherlands in 1636. Hence market prices (at least initially) were responding rationally to a rise in demand. The fall in prices was faster and more dramatic than the rise. Data on sales largely disappeared after the February 1637 collapse in prices, but a few other data points on bulb prices after tulip mania show that bulbs continued to lose value for decades thereafter. Garber compared the available price data on tulips to hyacinth prices at the beginning of the 19th century—when the hyacinth replaced the tulip as the fashionable flower—and found a similar pattern. 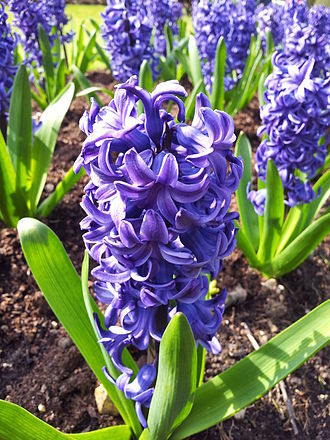 When hyacinths were introduced florists strove with one another to grow beautiful hyacinth flowers, as demand was strong. As people became more accustomed to hyacinths the prices began to fall. The most expensive bulbs fell to 1 to 2 percent of their peak value within 30 years. Garber also notes that, "a small quantity of prototype lily bulbs recently was sold for 1 million guilders ($US480,000 at 1987 exchange rates)", demonstrating that even in the modern world, flowers can command extremely high prices. Because the rise in prices occurred after bulbs were planted for the year, growers would not have had an opportunity to increase production in response to price. Other economists believe that these elements cannot completely explain the dramatic rise and fall in tulip prices. Garber's theory has also been challenged for failing to explain a similar dramatic rise and fall in prices for regular tulip bulb contracts. Some economists also point to other factors associated with speculative bubbles, such as a growth in the supply of money, demonstrated by an increase in deposits at the Bank of Amsterdam during that period. 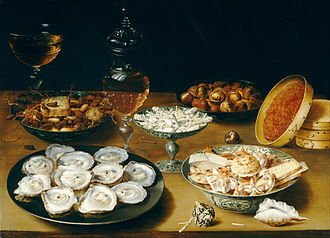 On February 24, 1637, the self-regulating guild of Dutch florists, in a decision that was later ratified by the Dutch Parliament, announced that all futures contracts written after November 30, 1636, and before the re-opening of the cash market in the early Spring, were to be interpreted as option contracts. They did this by simply relieving the futures buyers of the obligation to buy the future tulips, forcing them merely to compensate the sellers with a small fixed percentage of the contract price. Before this parliamentary decree, the purchaser of a tulip contract—known in modern finance as a forward contract—was legally obliged to buy the bulbs. The decree changed the nature of these contracts, so that if the current market price fell, the purchaser could opt to pay a penalty and forgo receipt of the bulb, rather than pay the full contracted price. This change in law meant that, in modern terminology, the futures contracts had been transformed into options contracts—contracts which were extremely favorable to the buyers. Thompson argues that the "bubble" in the price of tulip bulb futures prior to the February 1637 decree was due primarily to buyers' awareness of what was coming. Although the final 3.5% strike price was not actually settled until February 24, Thompson writes, "as information ... entered the market in late November, contract prices soared to reflect the expectation that the contract price was now a call-option exercise, or strike, price rather than a price committed to be paid." Thompson concludes that "the real victims of the contractual conversion" were the investors who had bought futures contracts prior to November 30, 1636, on the incorrect assumption that their contracts would benefit from the February 1637 decree. In other words, many investors were making an "additional gamble with respect to the prices the buyers would eventually have to pay for their options"—a factor unrelated to the intrinsic value of the tulip bulbs themselves. Using data about the specific payoffs present in the futures and options contracts, Thompson argued that tulip bulb contract prices hewed closely to what a rational economic model would dictate: "Tulip contract prices before, during, and after the 'tulipmania' appear to provide a remarkable illustration of efficient market prices." The popularity of Mackay's tale has continued to this day, with new editions of Extraordinary Popular Delusions appearing regularly, with introductions by writers such as financier Bernard Baruch (1932), financial writer Andrew Tobias (1980), psychologist David J. Schneider (1993), and journalist Michael Lewis (2008). At least six editions are currently in print. Goldgar argues that although tulip mania may not have constituted an economic or speculative bubble, it was nonetheless traumatic to the Dutch for other reasons. "Even though the financial crisis affected very few, the shock of tulipmania was considerable. A whole network of values was thrown into doubt." In the 17th century, it was unimaginable to most people that something as common as a flower could be worth so much more money than most people earned in a year. The idea that the prices of flowers that grow only in the summer could fluctuate so wildly in the winter, threw into chaos the very understanding of "value". Many of the sources telling of the woes of tulip mania, such as the anti-speculative pamphlets that were later reported by Beckmann and Mackay, have been cited as evidence of the extent of the economic damage. These pamphlets were not written by victims of a bubble, but were primarily religiously motivated. The upheaval was viewed as a perversion of the moral order—proof that "concentration on the earthly, rather than the heavenly flower could have dire consequences". Thus, it is possible that a relatively minor economic event took on a life of its own as a morality tale. Nearly a century later, during the crash of the Mississippi Company and the South Sea Company in about 1720, tulip mania appeared in satires of these manias. When Johann Beckmann first described tulip mania in the 1780s, he compared it to the failing lotteries of the time. In Goldgar's view, even many modern popular works about financial markets, such as Burton Malkiel's A Random Walk Down Wall Street (1973) and John Kenneth Galbraith's A Short History of Financial Euphoria (1990; written soon after the crash of 1987), used the tulip mania as a lesson in morality. Tulip mania again became a popular reference during the dot-com bubble of 1995–2001. In the 21st century, journalists have compared it to failure of the speculative dot-com bubble and the subprime mortgage crisis. In November 2013 Nout Wellink, former president of the Dutch Central Bank, described Bitcoin as "worse than the tulip mania," adding, "At least then you got a tulip, now you get nothing." Despite the mania's enduring popularity, Daniel Gross of Slate has said of economists offering efficient-market explanations for the mania, that "If they're correct ... then business writers will have to delete Tulipmania from their handy-pack of bubble analogies." ^ Nusteling, H. (1985) Welvaart en Werkgelegenheid in Amsterdam 1540–1860, pp. 114, 252, 254, 258. ^ Tulipomania: The Story of the World's Most Coveted Flower & the Extraordinary Passions It Aroused. Mike Dash (2001). ^ Shiller 2005, p. 85 More extensive discussion of status as the earliest bubble on pp. 247–48. ^ Kindleberger, Charles P. and Aliber, Robert (2005 ), Manias, Panics and Crashes. A History of Financial Crises, New York, ISBN 0-465-04380-1, p. 16. ^ Kaletsky, Anatole: Capitalism 4.0: The Birth of a New Economy in the Aftermath of Crisis. (PublicAffairs, 2010), p. 109-110. Anatole Kaletsky: "The bursting of the tulip bubble in 1637 did not end Dutch economic hegemony. Far from it. Tulipmania was followed by a century of Dutch leadership in almost every branch of global commerce, finance, and manufacturing." ^ Gieseking, Jen Jack; Mangold, William; et al. : The People, Place, and Space Reader. (Routledge, 2014, ISBN 9780415664974), p. 151. 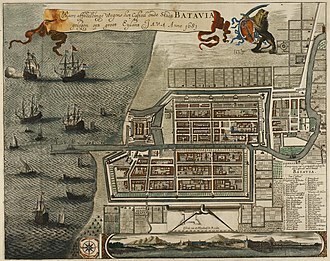 As Witold Rybczynski (1987) notes, the 17th-century Dutch Republic "had few natural resources—no mines, no forests—and what little land there was needed constant protection from the sea. But this "low" country surprisingly quickly established itself as a major power. In a short time it became the most advanced shipbuilding nation in the world and developed large naval, fishing, and merchant fleets. (...) The Netherlands introduced many financial innovations that made it a major economic force—and Amsterdam became the world center for international finance. Its manufacturing towns grew so quickly that by the middle of the century the Netherlands had supplanted France as the leading industrial nation of the world." ^ a b Kuper, Simon "Petal Power" (Review of Goldgar 2007), Financial Times, May 12, 2007. Retrieved on July 1, 2008. ^ A pamphlet about the Dutch tulipomania Wageningen Digital Library, July 14, 2006. Retrieved on August 13, 2008. ^ a b c d e f g h "The Tulipomania", Chapter 3, in Mackay 1841. ^ a b Goldgar, Anne (2008). Tulipmania: Money, Honor, and Knowledge in the Dutch Golden Age. London: University of Chicago Press. pp. 5, 6. ISBN 9780226301303. ^ Brunt, Alan; Walsh, John, "'Broken' tulips and Tulip breaking virus", Microbiology Today, May 2005, p. 68. ^ Phillips, S. "Tulip breaking potyvirus Archived February 20, 2009, at the Wayback Machine", in Brunt, A. A., Crabtree, K., Dallwitz, M. J., Gibbs, A. J., Watson, L. and Zurcher, E. J. (eds.) (1996 onwards). Plant Viruses Online: Descriptions and Lists from the VIDE Database. Version: August 20, 1996. Retrieved on August 15, 2008. ^ a b This basket of goods was actually exchanged for a bulb according to Chapter 3 of Mackay 1841 and also Schama 1987, but Krelage (1942) and Garber 2000, pp. 81–83 dispute this interpretation of the original source, an anonymous pamphlet, saying that the commodity bundle was clearly given only to demonstrate the value of the florin at the time. ^ Deane, Green. "Tulips". Eat the Weeds. Archived from the original on December 25, 2013. Retrieved December 4, 2013. ^ Frankel, Mark, "When the Tulip Bubble Burst",Business Week, April 4, 2000. ^ "Bubble and Bust; As the subprime mortgage market tanks, policymakers must keep their nerve", The Washington Post, August 11, 2007. Retrieved on July 17, 2008. ^ "Bitcoin hype worse than 'tulip mania', says Dutch central banker", The Guardian, December 4, 2013. ^ Gross, Daniel. "Bulb Bubble Trouble; That Dutch tulip bubble wasn't so crazy after all", Slate, July 16, 2004. Retrieved on November 4, 2011. Garber, Peter M. (1990), "Famous First Bubbles", The Journal of Economic Perspectives, The Journal of Economic Perspectives, Vol. 4, No. 2, 4 (2): 35–54, doi:10.1257/jep.4.2.35, JSTOR 1942889, (Subscription required (help)). Goldgar, Anne (2007). Tulipmania: money, honor, and knowledge in the Dutch golden age. Chicago: University of Chicago Press. ISBN 978-0-226-30125-9. Retrieved February 21, 2015. Boissoneault, Lorraine (September 18, 2017). "There Never Was a Real Tulip Fever". Smithsonian Magazine. Retrieved December 10, 2017. A financial crisis is any of a broad variety of situations in which some financial assets suddenly lose a large part of their nominal value. 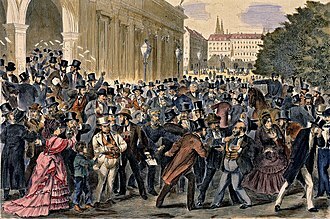 In the 19th and early 20th centuries, many financial crises were associated with banking panics, other situations that are often called financial crises include stock market crashes and the bursting of other financial bubbles, currency crises, and sovereign defaults. Financial crises directly result in a loss of wealth but do not necessarily result in significant changes in the real economy. Many economists have offered theories about how financial crises develop and how they could be prevented, There is no consensus and financial crises continue to occur from time to time. When a bank suffers a sudden rush of withdrawals by depositors, an event in which bank runs are widespread is called a systemic banking crisis or banking panic. Examples of bank runs include the run on the Bank of the United States in 1931, Banking crises generally occur after periods of risky lending and resulting loan defaults. There is no accepted definition of a currency crisis, which is normally considered as part of a financial crisis. Frankel and Rose define a crisis as a nominal depreciation of a currency of at least 25%. A speculative bubble exists in the event of large, sustained overpricing of some class of assets, however, it is difficult to predict whether an assets price actually equals its fundamental value, so it is hard to detect bubbles reliably. Some economists insist that bubbles never or almost never occur, the 2000s sparked a real estate bubble where housing prices were increasing significantly as an asset good. When a country fails to pay back its debt, this is called a sovereign default. Several currencies that formed part of the European Exchange Rate Mechanism suffered crises in 1992–93 and were forced to devalue or withdraw from the mechanism, another round of currency crises took place in Asia in 1997–98. Many Latin American countries defaulted on their debt in the early 1980s, the 1998 Russian financial crisis resulted in a devaluation of the ruble and default on Russian government bonds. Charles Mackay was a Scottish poet, author, anthologist and songwriter, remembered mainly for his book Extraordinary Popular Delusions and the Madness of Crowds. Charles Mackay was born in Perth and his father, George Mackay, was a bombardier in the Royal Artillery, and his mother Amelia Cargill died shortly after his birth. His birthdate was 26 March 1812, although he gave it as 27 March 1814. 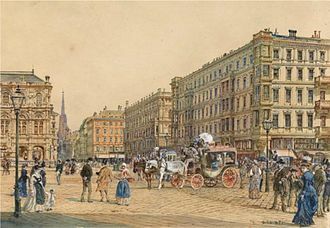 Mackay was educated at the Caledonian Asylum, in London, in 1828 he was placed by his father at a school in Brussels, on the Boulevard de Namur, and studied languages. 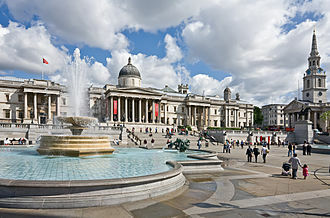 In the summer of 1830 he visited Paris, and he spent 1831 with Cockerill at Aix-la-Chapelle, in May 1832 his father brought him back to London, where he first found employment in teaching Italian to Benjamin Lumley. Mackay engaged in journalism in London, in 1834 he was a contributor to The Sun. From the spring of 1835 till 1844 he was assistant sub-editor of the Morning Chronicle, in the autumn of 1839 he spent a months holiday in Scotland, witnessing the Eglintoun Tournament, which he described in the Chronicle, and making acquaintances in Edinburgh. In the autumn of 1844, he moved to Scotland, and became editor of the Glasgow Argus and he worked for the Illustrated London News in 1848, becoming editor in 1852. Mackay visited North America in the 1850s, publishing his observations as Life and Liberty in America, or Sketches of a Tour of the United States and Canada in 1857–58. During the American Civil War he returned there as a correspondent for The Times, Mackay had the degree of LL. D. from the University of Glasgow in 1846. He was a member of the Percy Society, Mackay published Songs and Poems, a History of London, Extraordinary Popular Delusions and the Madness of Crowds, and a romance entitled, Longbeard. The linguist Anatoly Liberman has described MacKay as an etymological monomaniac commenting that He was hauled over the coals by his contemporaries and never taken seriously during his lifetime. His fame chiefly rested upon his songs, some of which, including Cheer, Cheer, were set to music by Henry Russell in 1846, Charles Mackay wrote the popular poem You have no enemies, you say. The Dutch Golden Age was a period in Dutch history, roughly spanning the 17th century, in which Dutch trade, science and art were among the most acclaimed in the world. 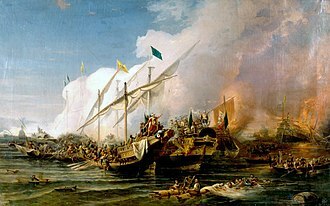 The first half is characterized by the Eighty Years War which ended in 1648, the Golden Age continued in peacetime during the Dutch Republic until the end of the century. 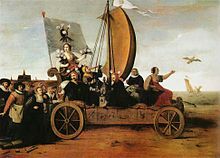 The Netherlandss transition from a possession of the Holy Roman Empire in the 1590s to the foremost maritime, in 1568, the Seven Provinces that signed the Union of Utrecht started a rebellion against Philip II of Spain that led to the Eighty Years War. Antwerp fell on August 17,1585 after a siege, the United Provinces fought on until the Twelve Years Truce, which did not end the hostilities. Under the terms of the surrender of Antwerp in 1585, the Protestant population were given four years to settle their affairs before leaving the city, similar arrangements were made in other places. Protestants were especially well-represented among the craftsmen and rich merchants of the port cities of Bruges, Ghent. More moved to the north between 1585 and 1630 than Catholics moved in the direction, although there were many of these. Many of those moving north settled in Amsterdam, transforming what was a port into one of the most important ports. The Pilgrim Fathers spent time there before their voyage to the New World, Ronald Findlay and Kevin H. O’Rourke contribute part of the Dutch ascendancy to its Calvinistic ethic, which promoted thrift and education. 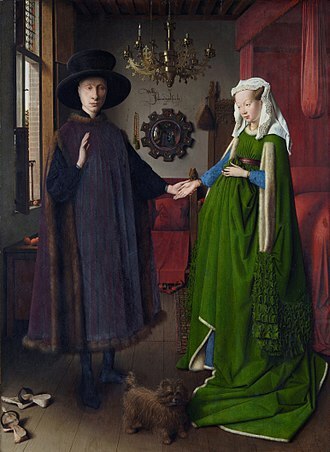 This contributed to the lowest interest rates and the highest literacy rates in Europe, several other factors contributed to the flowering of trade, the arts and the sciences in the Netherlands during this time. A necessary condition was a supply of energy from windmills and from peat. The invention of the sawmill enabled the construction of a massive fleet of ships for worldwide trading. 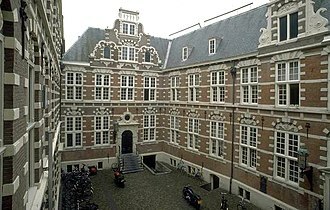 In 1602 the Dutch East India Company was founded and it was the first-ever multinational corporation, financed by shares that established the first modern stock exchange. The Roman denarius was debased over time. 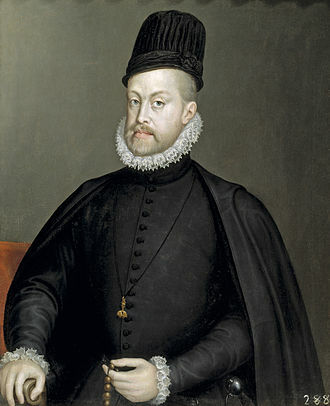 Philip II of Spain defaulted four times on Spain's debt. Greenhouse of the Hortus Botanicus with Victoria Regia. 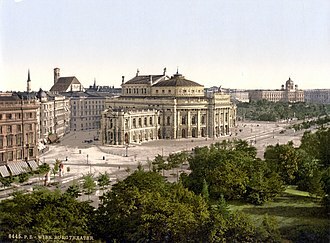 End of the 19th century. Jan Brueghel II A Coastal Landscape with Fishermen with their Catch by a Ruined Tower, oil on panel. 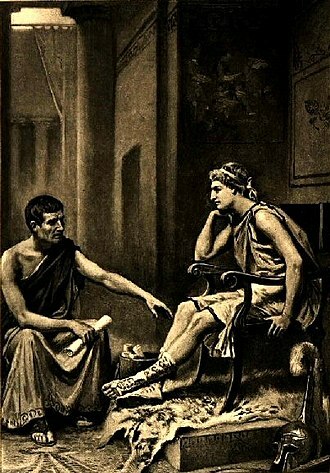 Starting with Nero in AD 64, the Romans continuously debased their silver coins until, by the end of the 3rd century, hardly any silver was left.